Washing your hair the right way is very important to make your hair smooth and healthy naturally. Learning how to properly wash your hair will have a tremendous impact on the bounce and brilliance of your locks. Even some of the greatest hairdressers like Teb Gibson,Rita Hasan and Mark Garrison believe that healthy hair needs proper maintenance and it starts with a healthy scalp. Below is how its done! Make sure you wet your hair with warm\lukewarm water. Warm water will open up the cuticles of your hair shaft and help the products (shampoo & conditioner) and the moisture to absorb in your hair strands, once you are done with shampooing and conditioning your hair, rinse your hair with cold water from length to tip (rinsing your scalp with cold water after warm water might get you sick so avoid the scalp).The cold water will seal the cuticles of your hair shaft and lock in the moisture. This will leave your hair smooth, shiny and frizz- free. Take a quarter-sized dollop of your shampoo and start lathering hair from the roots working your way down towards the tips. Massage your head in circular motion while lathering, take some more shampoo to cover the tips. Don’t rush! Shampooing your hair should take at least 2-3 mins so that the hair is completely cleansed. Your hair will thank you for it. Once you have washed off all the shampoo in your hair with plenty of lukewarm water, take a towel and wrap it around your hair so that it soaks in all the excess water(do not completely dry it, leave it damp). This will help the conditioner to stay on your hair and not drip off. Now that the cuticles of your hair are still open due to the warm water, it will absorb all the “goods” of your conditioner easily. Take a generous amount of conditioner\hair mask on the palms of your hand and distribute it evenly from the length to tip of your hair (not the scalp). Leave it on for 3-5 mins, wash the conditioner off thoroughly with lukewarm water. Finish with a cold water rinse. Avoid wrapping your wet hair in a towel after shower. Wrapping your wet hair too tight will weigh down your hair causing breakage and it also breaks the hair shafts and leads to damage and frizz. When you get out of the shower, use a towel to gently squeeze out excess water and let your hair air dry. *most of us vigorously rub our scalp and hair with towel until its a knotted mess that looks like we were just in a wind tunnel. This stretches the hair and can cause breakage and can also lead to frizzy hair. *don’t comb or brush your hair while its wet,it causes breakage. * if you do want to wrap your hair in a towel, use light towels so that it does not weigh down your hair. 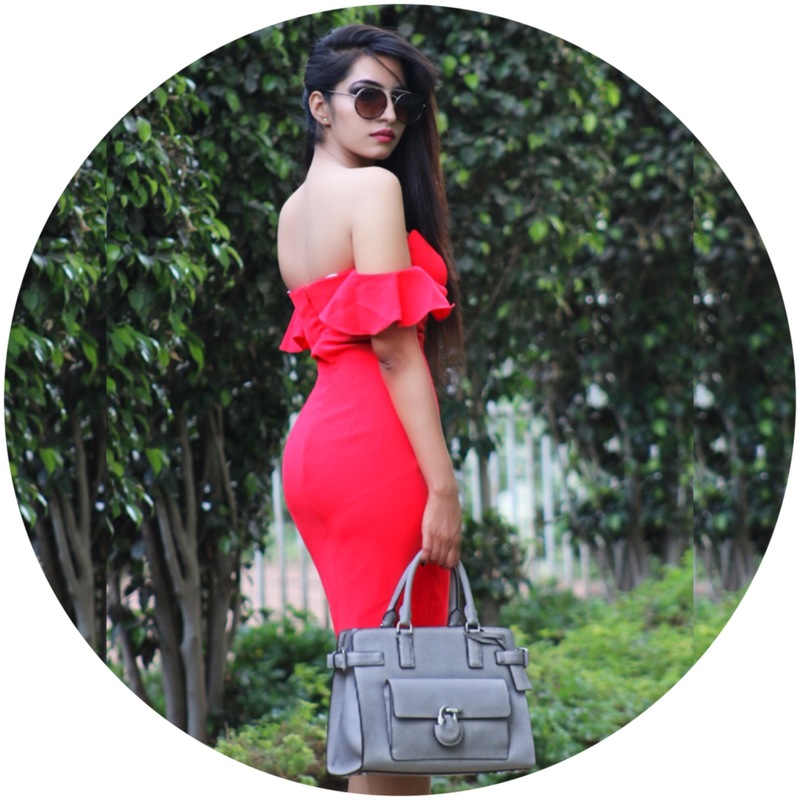 I AM THE GIRL BEHIND THE BLOG BASED OUT OF MUMBAI, INDIA. THIS IS WHERE I SUCCUMB TO MY GIRLY OBSESSION. I POST HONEST REVIEWS ON BEAUTY PRODUCTS, POST OOTDs AND MAKEUP TUTORIALS. SO COME BENEFIT FROM MY OBSESSION!!! Receive the latest tips & news! COPYRIGHT © 2017 • All Rights Reserved.